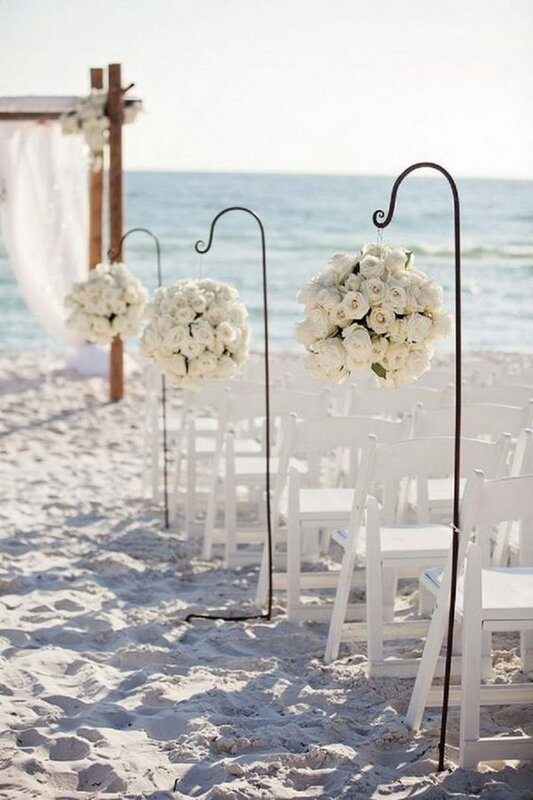 Beach weddings are very popular these days! 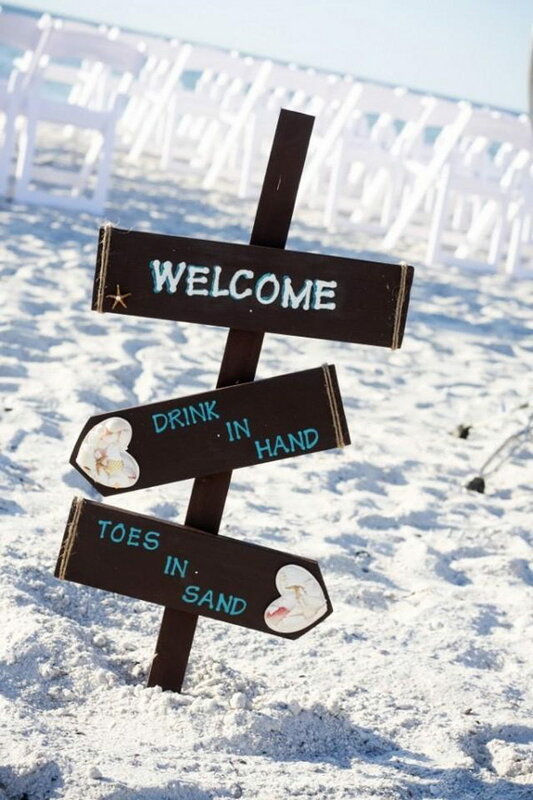 Sandy toes, a warm breeze and the sound of waves crashing on the shore…beach creates an automatic romantic ambiance. 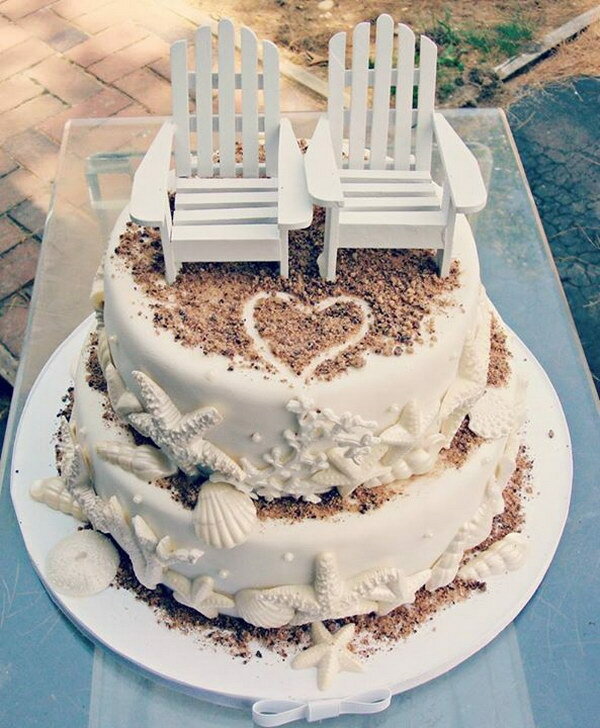 It is a particularly romantic way to start your marriage on the beach. 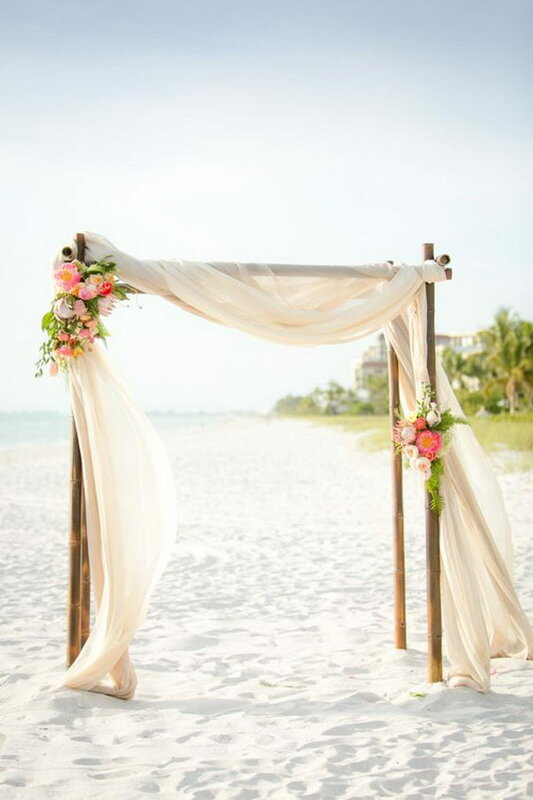 Another advantage of a beach wedding is that you can keep your costs down by using the natural surroundings and scenery for your wedding decoration. 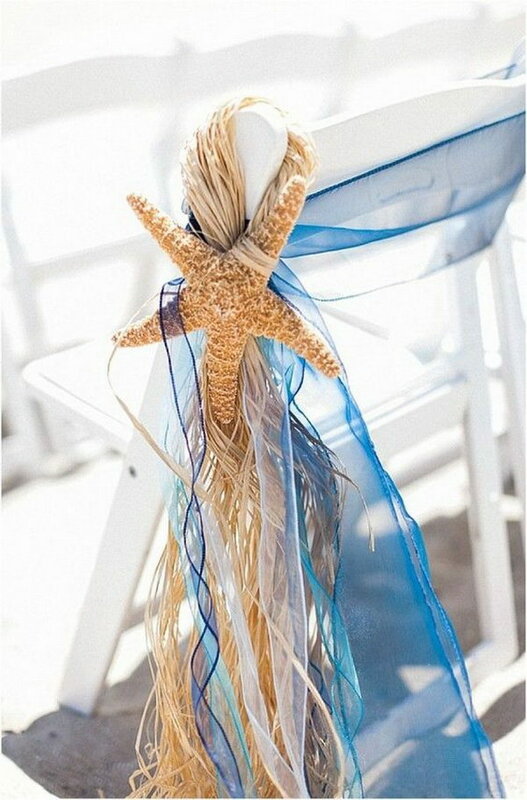 If you are looking for some cool decor ideas to plan your beach wedding, here we are! 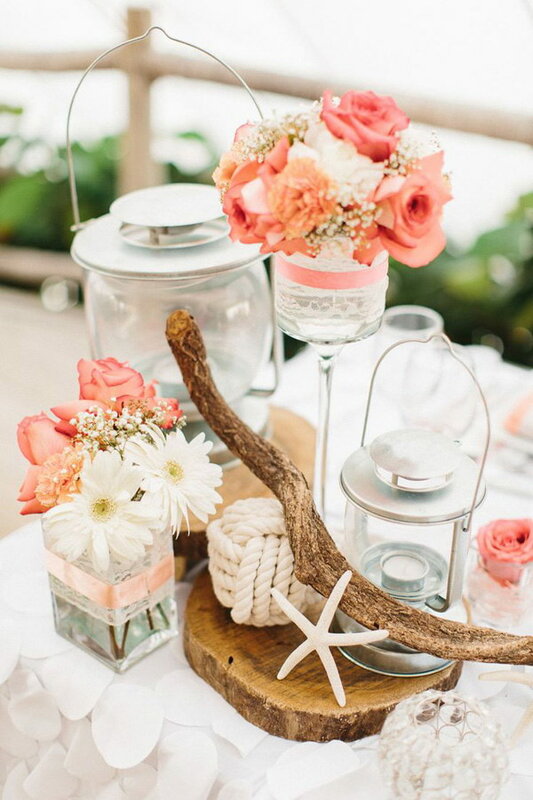 we have prepare a while bunch of dreamy beach wedding decor ideas that are sure to inspire you! 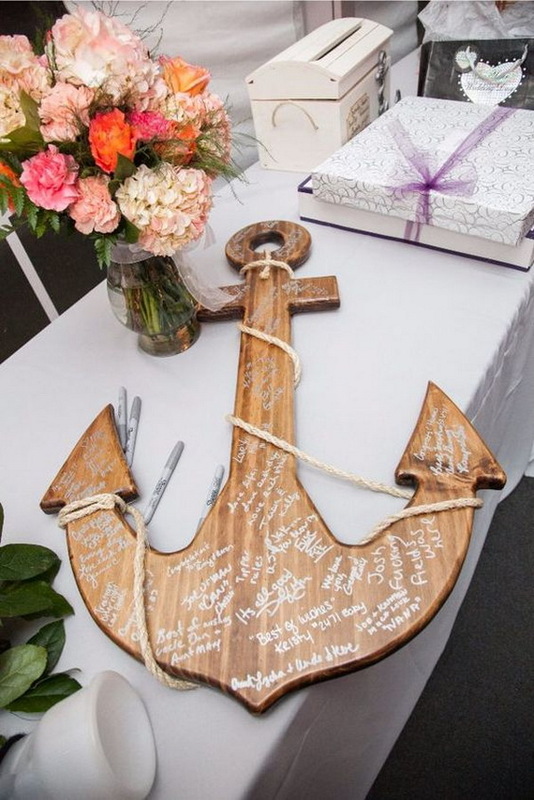 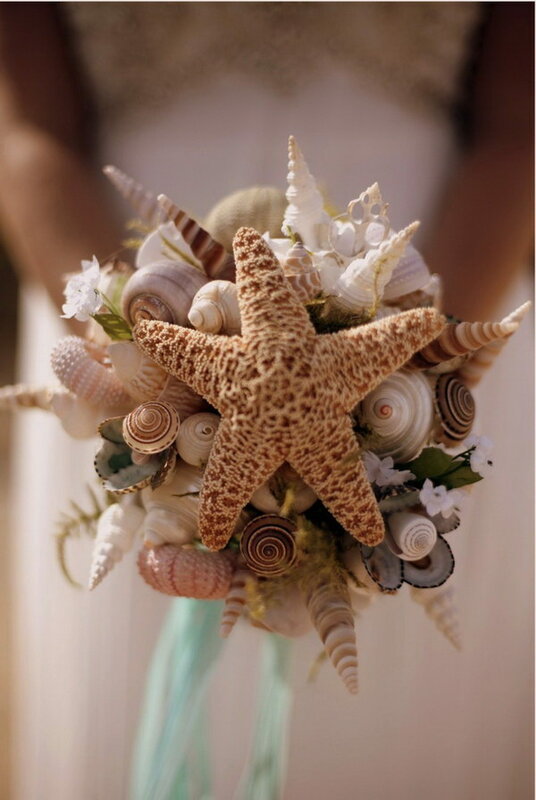 From starfish place cards, sea shell bride bouquet to beach themed wedding cake, these budget friendly beach wedding ideas will allow you to enjoy the perfect romantic style beach wedding! 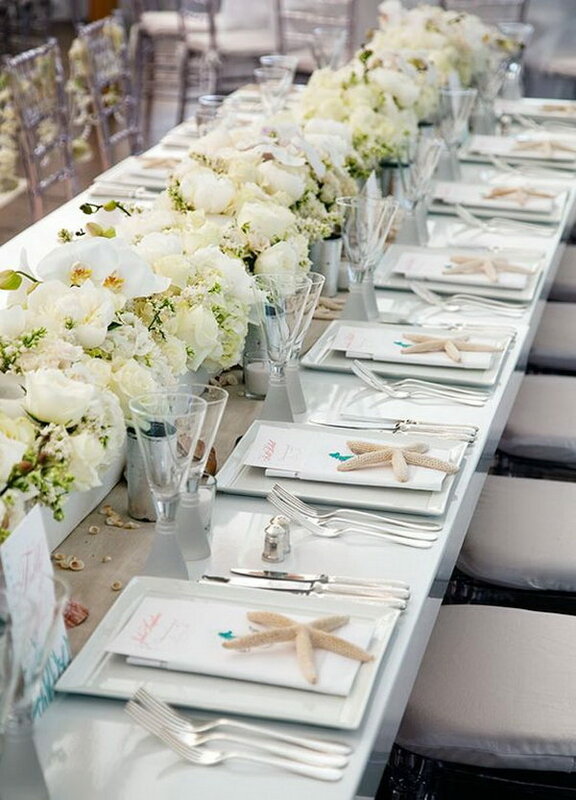 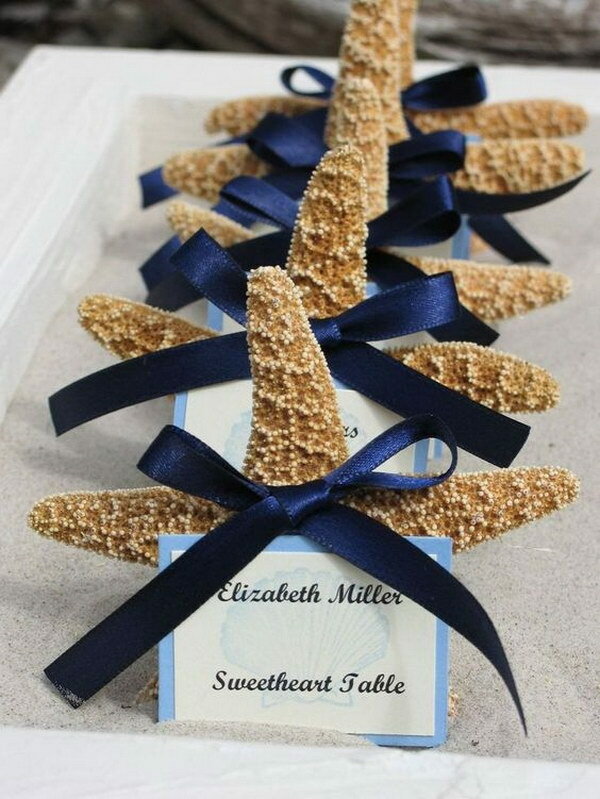 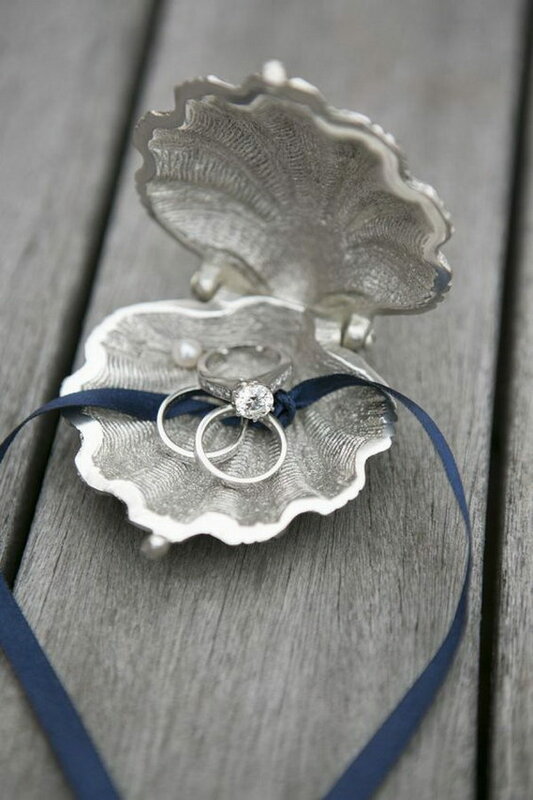 Get your wedding table decorated with some pretty sea life, corals, starfish, sea urchins and sea shells. 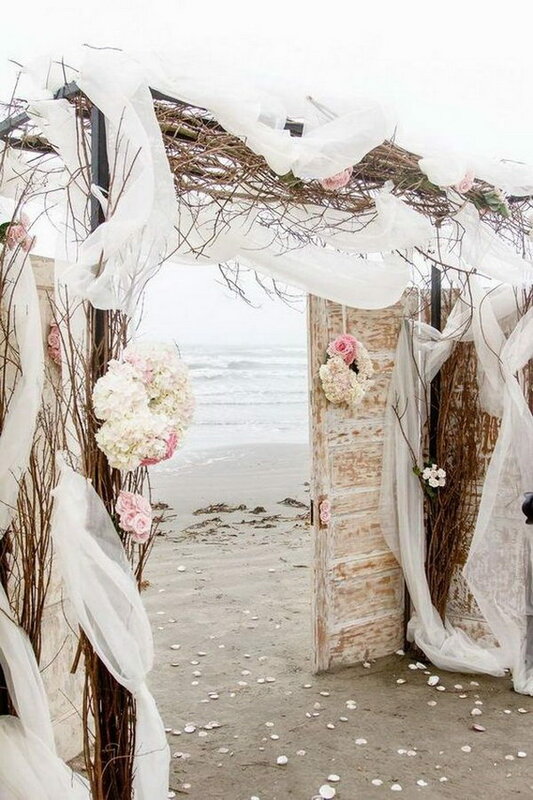 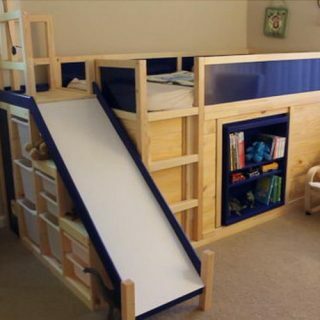 What a beautiful arch! 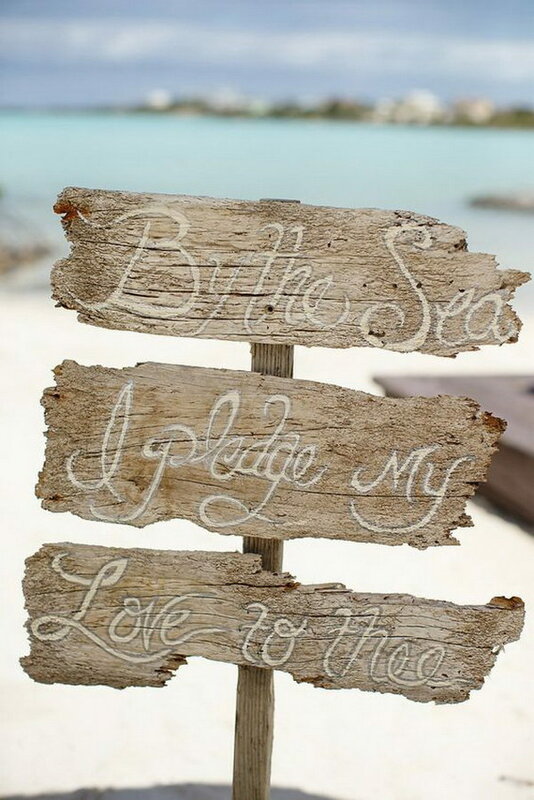 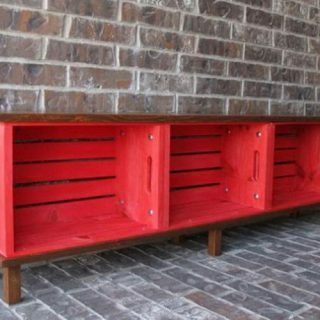 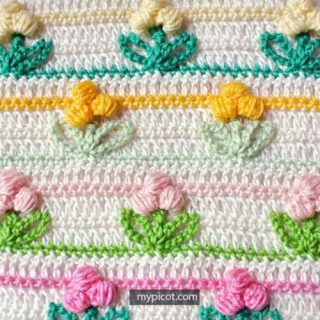 It is perfect for a beach wedding or an outdoor rustic wedding! 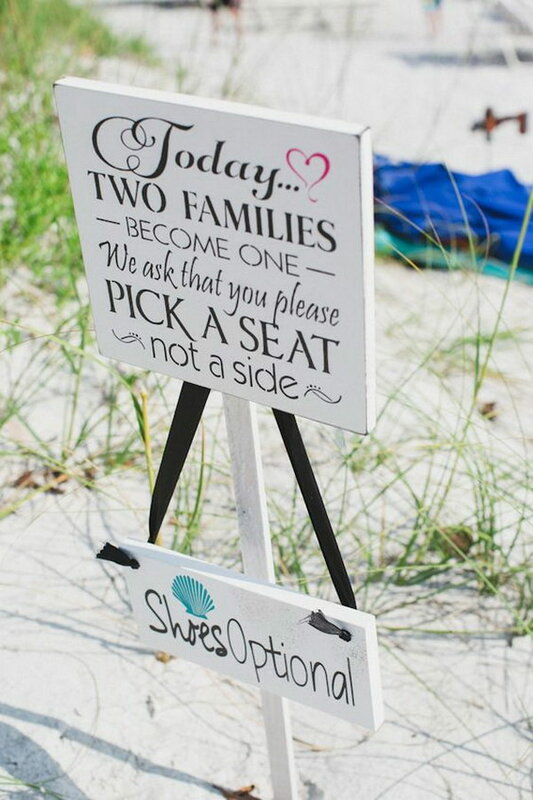 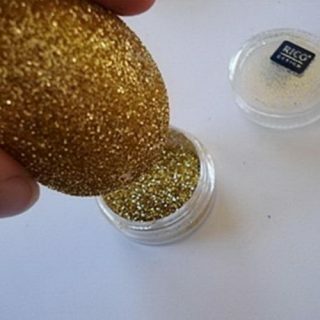 Make use of what you have to decorate your wedding! 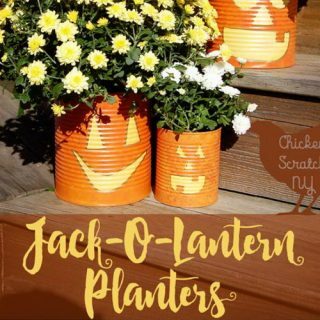 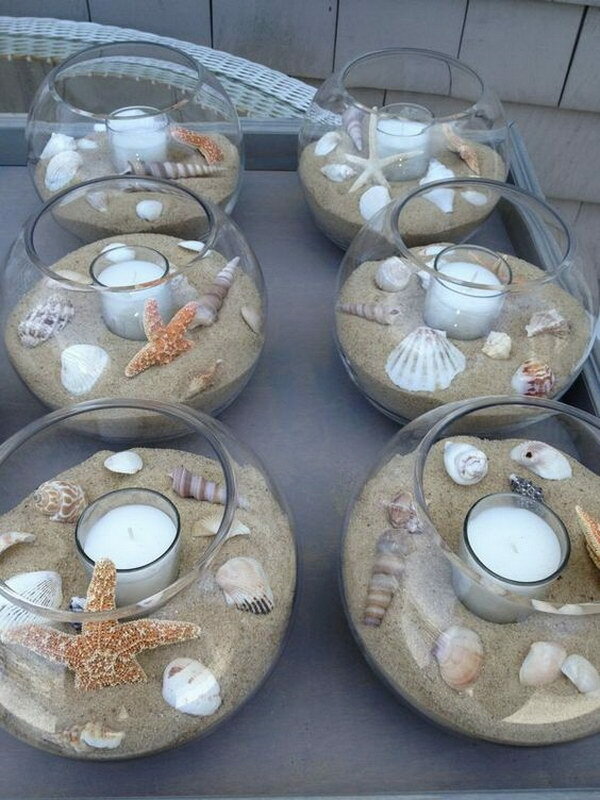 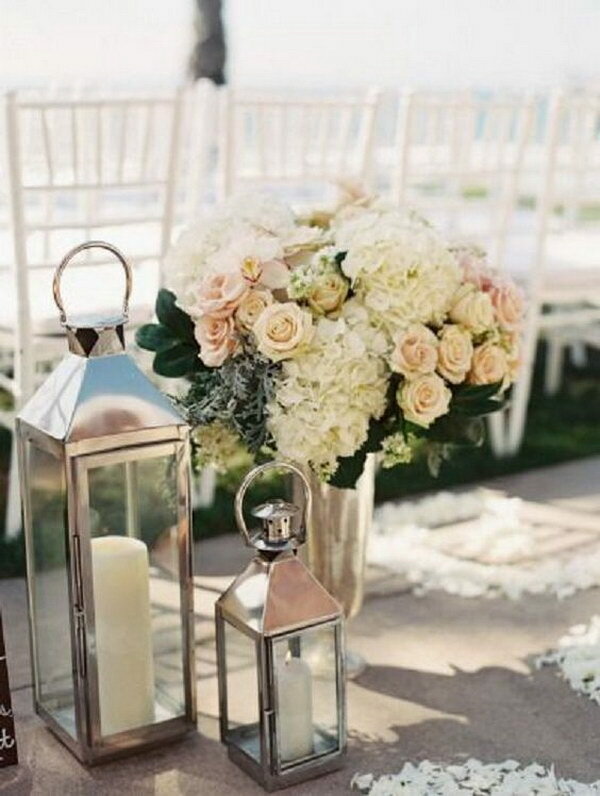 Repurpose the old lanterns as the candleholders for your outdoor beach wedding decoration! 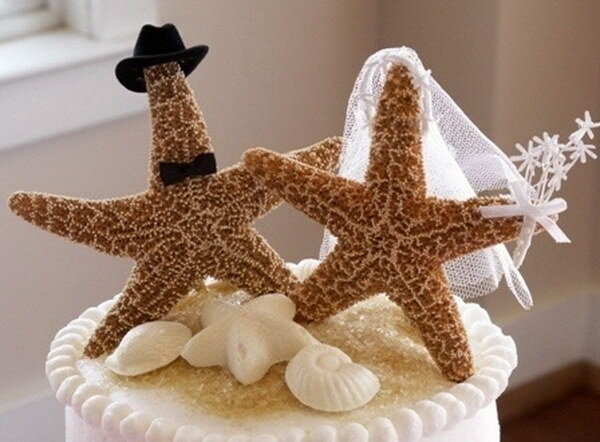 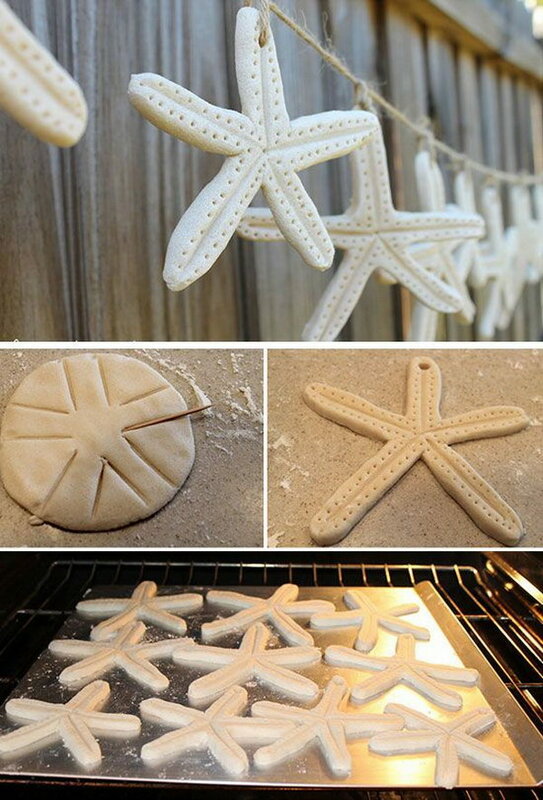 Decorate the starfish as the lovely bride and bridegroom for the wedding cake toppers. 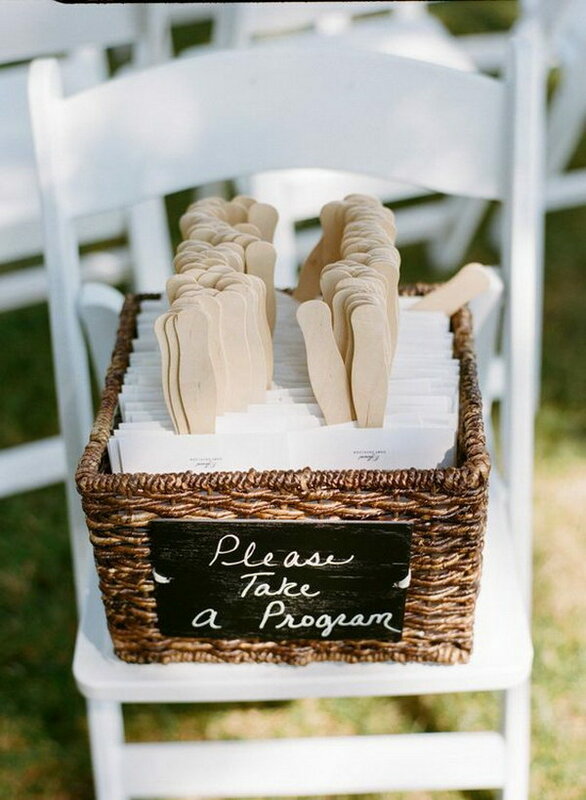 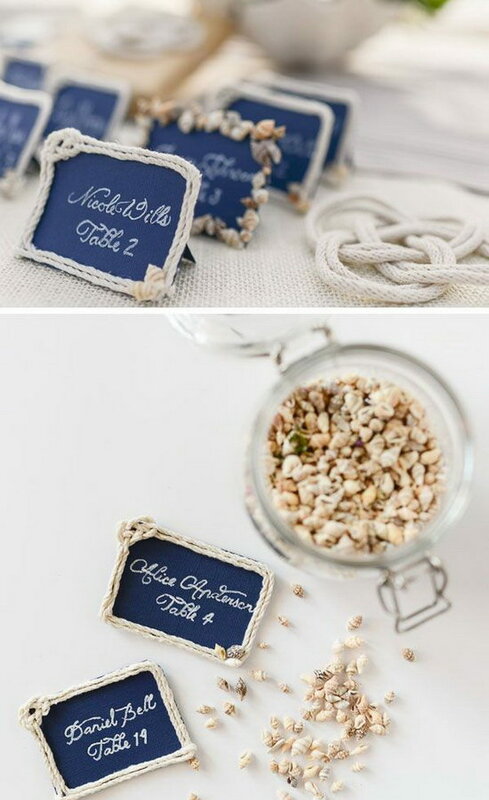 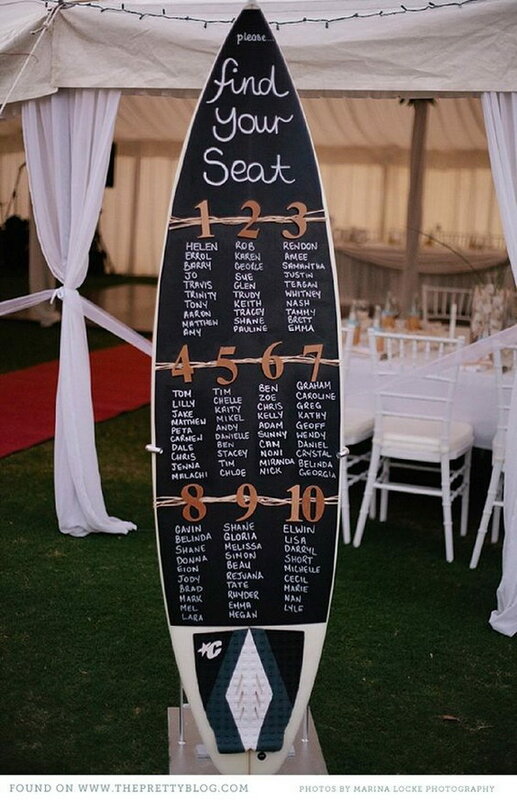 Simple but creative and cute a beach themed wedding! 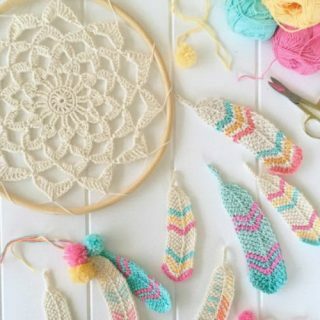 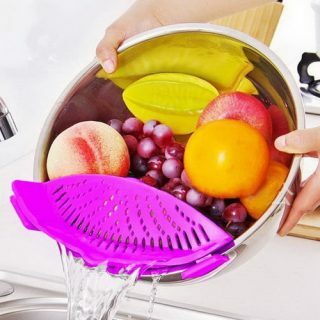 Whether you’re planning a tropical-themed wedding, beach wedding or any outdoor event in the spring or summer, these woven buri fans will keep your guests cool and comfortable. 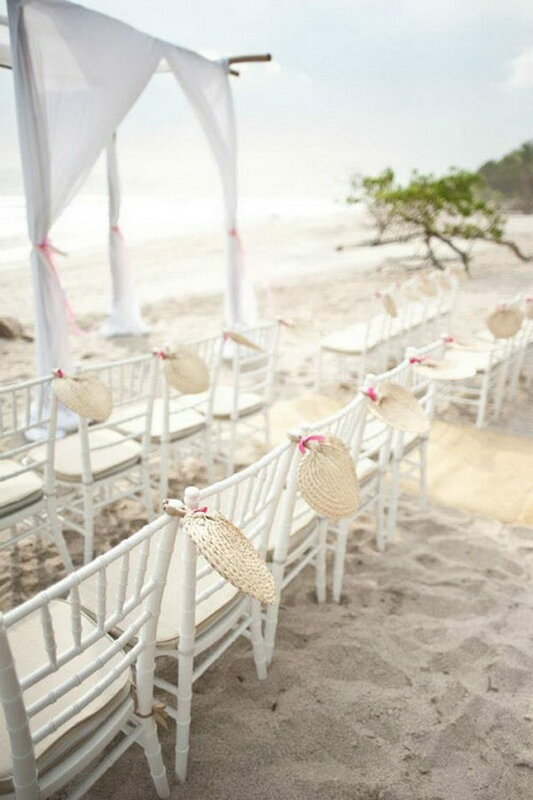 I love the simplicity and delicacy of a beach wedding, some great ideas!